The beginning of June had me back in Acadia for a weekend of photography. Prior to this I had received the newly released “Photographer’s guide to Acadia National Park” by Jerry and Marcy Monkman. Fortunately I had the book in my hands for a week before my trip, so I had ample time to study it. This great guide not only covers the well-known area of Mount Desert island, but also lesser known areas of Acadia National Park, like the Schoodic Peninsula. 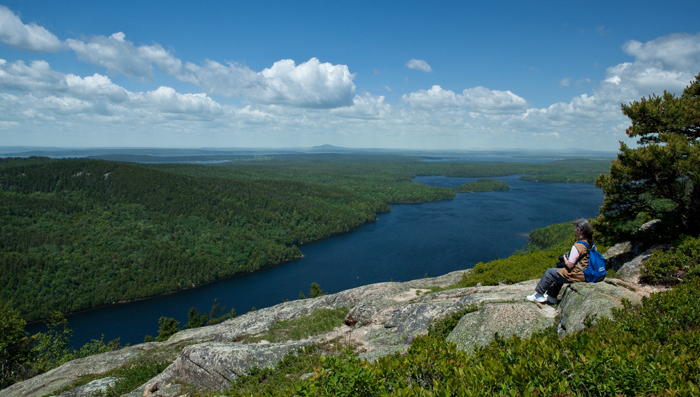 Furthermore it also lists areas beyond Acadia, like Isle au Haut, the Blue Hill Peninsula and Down East Maine. Each location is described in detail including best time of year to photograph, parking, directions, best time of day to photograph and how strenuous it is to get to. There is also a list of favorite locations for sunrises, sunsets, rocky shorelines, etc. … and general tips for photographing the Maine Coast. There are a few small maps in the front of the book to show you the exact locations described in the guide. The Park Service will provide you with a map of Acadia National Park, but I highly recommend purchasing a hiking map. If you are planning a trip to Acadia National Park, I can highly recommend this guide. It does not only list the popular spots but will also lead you off the beaten path. I know it provided me with plenty of material for many return trips. You can order this guide directly from Jerry and Marcy Monkman’s website here.